With the sheer number of applications in the cloud today, creating a strong application integration strategy is the key to success across every industry. You need a solution that will manage your full lifecycle of API usage and streamline app building to speed delivery. 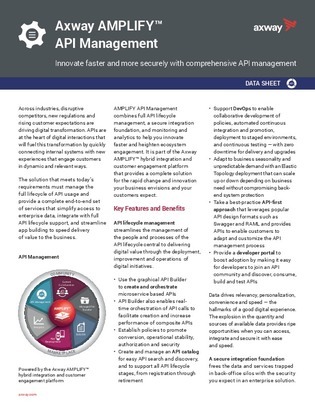 Learn about the key benefits of one such API lifecycle management tool in this whitepaper.